By clicking "Accept" where indicated below you enter into a legally binding contract between you (hereinafter referred to as "End-User") and groovetechnicians.co.uk (hereinafter referred to as "Groove Technicians Records") and agree to be legally bound by all of the terms and conditions of this agreement. 1. Application. 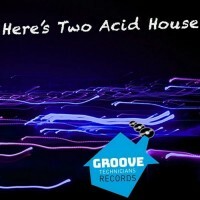 This Terms of Service Agreement (“TOS Agreement” or "Agreement") shall apply to any use by End-User of the content and services of the Traxsource website located at http://www.groovetechnicians.co.uk/store(the “Website”). The terms and conditions stated in this Agreement ("Terms of Service" or "TOS") shall be binding upon End-User and shall govern End-User's use of any of the services, music, materials, information, and features at the Website. 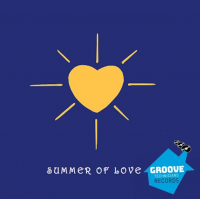 End-User's acceptance of and compliance with these Terms of Service are conditions for End-User's access to all services provided by Groove Technicians Records. As long as End-User complies with these Terms of Service, Groove Technicians Records grants End-User a conditional, personal, non-exclusive, non-transferable, and revocable privilege to enter and use the Website. Groove Technicians Records reserves the right to modify this Agreement and to impose new or additional terms or conditions on End-User's use of the services provided by US. Such modifications and additional terms and conditions will be effective immediately and incorporated into this Agreement. If any material changes are made to these Terms of Service, a notice will be posted on the Website along with the updated Terms of Service. 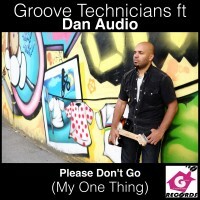 End-User's continued use of the services provided by Groove Technicians Records Store will be deemed acceptance thereof. The term "End User" as used in this Agreement shall include disc jockeys ("DJs"). The term "personal use" shall include the use of Downloads (defined in Paragraph 4 below) by DJs as part of their disc jockey performances subject to the relevant DJs’ compliance with all applicable reporting requirements as set forth in Paragraph 5 below. 2. Site Content. All of the services, music, materials, information, features, downloadable music files, audio samples, audio streams, software, text, images, graphics, user interface, videos, photographs, trademarks, logos, and artwork (collectively “Site Content”), including but not limited to the design, selection, arrangement, and coordination of such Site Content on the Website, is owned exclusively by Groove Technicians Records or has been licensed to Groove Technicians Records or Groove Technicians Records use subject to these Terms of Service. 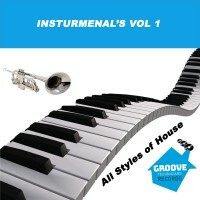 As between End User and US, all Site Content is owned by Groove Technicians Records and shall be deemed to constitute the intellectual property of Groove Technicians Records and, as such, is subject to all applicable intellectual property rights laws including but not limited to copyright and trademark laws. 3. Restrictions. Except as expressly provided in this Agreement, End-User shall not at any time record, reproduce, copy, transmit, retransmit, sell, rent, broadcast, distribute, publish, upload, post, publicly display, incorporate into new works, alter, perform, digitize, compile, translate or transmit in any way to any other computer, website or other medium or for any purpose, any part of the Website, including but not limited to Downloads (defined in Paragraph 4 below), Materials (defined in Paragraph 5 below),or any other Site Content, without Groove Technicians Records express prior written approval. 4. Limited License. Notwithstanding the use of the terms “sell,” “purchase,” “order,” or “buy” on the Website or in this Agreement, upon receipt of payment Groove Technicians Records shall grant to End-User a conditional, personal, non-exclusive, non-transferable and revocable license for End-User's personal use of each downloadable digital file containing any Site Content ("Download(s)") subject to these Terms of Service. 5. Permitted Uses. Under this limited license End-User shall have the right to copy or transfer the relevant Download to any desktop computer, laptop computer, or playback device owned by End-User, and/or to a recordable medium (such as CD-R or DVD-R) for End-User's personal use without restriction but subject at all times to the fair use provisions of the United States Copyright Act, 17 U.S.C. §107. Notwithstanding anything to the contrary stated elsewhere in this Agreement, End-User shall be entitled to publicly perform Downloads as part of End-User's disc jockeyperformances, if any, provided that End-User shall submit the playlist information for any use of Downloads as part of such disc jockey performances to the relevant performing rights society(ies) as required under applicable laws. For the avoidance of doubt, Groove Technicians Records shall not be responsible for payment of public performance royalties or phonographic performance royalties to the relevant society(ies) with respect to End-User's use of Downloads and End-User hereby expressly agrees to indemnify Groove Technicians Records against any third party claims arising in connection with End-User's use of Downloads as part of disc jockey performances. The permitted uses as stated above with respect to each Download shall also apply to any audio-visual files, label copy, description, artwork, logos and any other materials associated with the relevant Download ("Materials"). The available territory(ies) for a particular Download may vary. The permitted uses apply only in those territories in which the relevant Download is available for sale as indicated on the Website. No other transfers, copies or uses of any Downloads, Materials or other Site Content are permitted. All other rights are hereby expressly reserved. (g) End-User shall not engage in any unauthorized commercial use of any Download(s), Materialsor other Site Content without Groove Technicians Records express prior written permission to do so. 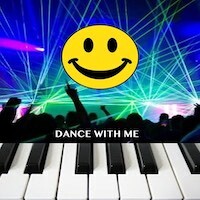 For the avoidance of confusion, the foregoing shall not affect End-User's ability to use Downloads in connection with professional DJ equipment such as Traktor Pro™ and the like or the use of Downloads by End-User as part of their disc jockey performances subject to the relevant DJ's compliance with all applicable reporting requirements as set forth in Paragraph 5 above. (h) End-User shall not reverse engineer, decompile, disassemble, modify or disable any watermarking or copy protection or use limitation features or software which may be contained in any Download(s), Materialsor other Site Content. Except as expressly stated above as a permitted use under this Agreement, all other non-enumerated uses of the relevant Download(s), Materials or other Site Contentare prohibited and shall constitute a TOS violation. End-User hereby agrees to indemnify, save and hold Groove Technicians Records harmless from any loss, damage or expense incurred by Groove Technicians Records resulting from any failure by End-User to comply with the permitted use provisions of this Agreement. WARNING: Groove Technicians Records ses patented third-party watermarking technology. Any Downloads which are subsequently uploaded or fileshared by End-User will be indelibly watermarked with the original End User's IP address and/or other information. This information will be made accessible to the appropriate authorities upon request so as to support ongoing efforts to discourage copyright infringement. DO NOT UPLOAD OR FILESHARE any Downloads, Materials or other Site Content purchased or otherwise obtained from the Website. (a) End-User shall only submit accurate personal and billing information when opening End-User's account. The submission of false or fraudulent information shall constitute a TOS violation. (b) End-User shall at all times remain solely responsible for all activity that occurs under End-User's account. (c) End-User shall not share End-User's account or End-User's password with any third party. Password sharing shall constitute a TOS violation and End-User hereby agrees not to use the account or password of any third party for the same reason. (d) End-User shall immediately notify Groove Technicians Records of any unauthorized use of End-User's account or password information or any other breach of security. (e) End-User shall not attempt to gain access to the password-protected portions of the Website without using End-User's password or by any other unauthorized means. Any attempt by End-User to gain unauthorized entry to password-protected portions of the Website through hacking, cracking, spoofing or any other means other than by using End-User's account and password shall constitute a TOS violation. (f) Any action to assist or enable any third party to gain unauthorized access to password-protected portions of the Website by any means shall constitute a TOS violation. (a) Groove Technicians Records shall store End-User's name, address and e-mail information for use in connection with the provision of Groove Technicians Records Store services hereunder. (b) For security reasons, Groove Technicians Records shall not store End-User's credit card information, which must be re-entered on a transaction by transaction basis. (c) Groove Technicians Records shall not disclose or provide End-User's stored contact information to any unaffiliated third party unless Groove Technicians Records is required to do so by State or Federal government agencies or in the context of litigation. 9. E-mail Communication. By establishing an account with Groove Technicians Records End-User expressly grants permission for Groove Technicians Records to communicate with End-User via e-mail at the e-mail address End-User provides. 10.Termination. End-User may terminate End-User's account with Groove Technicians Records at any time by communicating End-User's wish to do so to Groove Technicians Records in writing via e-mail. (a) Groove Technicians Records may terminate End-User's account for cause in its sole discretion and without prior notice. "Cause" within the meaning of the foregoing sentence shall include but is not be limited to: (1) any TOS violation; (2) discontinuation or material modification of the Website or any service offered thereon; (3) failure to pay for purchases; (4) copyright infringement; and (5) requests by law enforcement or other government agencies. (b) Groove Technicians Records shall at all times remain entitled to terminate End-User's account for any other reason which may or may not fall within the definition of "cause" above in its sole discretion. (c) Upon termination of End-User's account hereunder, all of the operative provisions and definitions of this Agreement shall continue to remain in effect and shall continue to govern the interpretation of this Agreement and all rights and remedies accruing under this Agreement. End-User hereby expressly agrees that End-User shall not be entitled to seek any compensation from Groove Technicians Records or any third party for the termination of End-User's account. 11. Warranties. 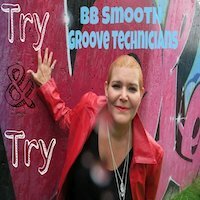 The Website and all Downloads, Materials and other Site Content are offered on an "as is" basis only.Groove Technicians Records rovides a warranty only with respect to Downloads legally obtained by End User from Groove Technicians Records pursuant to this Agreement. The warranty is as follows: any defective Download(s) will be replaced upon request within thirty (30) days of the original purchase date. EXCEPT AS EXPRESSLY STATED, GROOVETECHNICIANS EXPRESSLY DISCLAIMS ANY WARRANTIES, EXPRESS OR IMPLIED, WITH RESPECT TO ANY MATTER RELATING TO THE WEBSITE OR THE USE OF GROOVE TECHNICIANS RECORDS SERVICES HEREUNDER. It is hereby expressly agreed that there shall be no implied warranties of merchantability or suitability with respect to any aspect of the Website or any Downloads, Materials or other Site Content purchased or otherwise obtained from the Website. 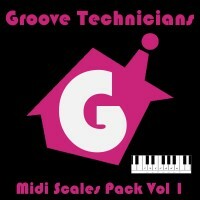 Groove Technicians Records specifically disclaims any warranties against viruses, software incompatibilities, or any other effect which the Website or any Downloads, Materials or other Site Content may have on the computer, telecommunications and/or other electronic equipment owned or operated by End User. 12. Limitation of Liability. End-User hereby expressly agrees that End-User shall use the Website and any Downloads, Materials and other Site Content at End-User's own risk. In any event, neither Groove Technicians Records nor its officers, employees, or shareholders shall be liable for any consequential, incidental, direct, indirect, punitive, special or other damages whatsoever, including without limitation any business interruption, loss of profits, loss of information or any other business related damages, with respect to any matter or claim arising as a result of or in connection with this Agreement, or the use of the Website or any Downloads, Materials or other Site Contentor any other Groove Technicians Records goods or services, or the inability to use the Website or any Downloads, Materials or other Site Content or any other Groove Technicians Records goods or services, or any failure by Groove Technicians Records to provide any Downloads, Materials or other Site Content or any other Groove Technicians Records goods or services at any time, or otherwise arising out of or in connection with the use of the Website whether based on contract, tort, negligence, at law or in equity. End-User hereby acknowledges and confirms that End-User is on notice of Groove Technicians Records disclaimer of warranties and limitation of liability as set forth in this Agreement and End-User expressly agrees to these disclaimers and limitations as a condition of using the Website and any Downloads, Materials and other Site Content, or any other Groove Technicians Records goods or services. If, notwithstanding the foregoing and for any reason, Groove Technicians Records is found to be liable to End User for any matter in connection with this Agreement, Groove Technicians Records liability shall be limited to any amounts actually paid to Traxsource by End User. 13. Copyright and Intellectual Property Rights Policy. (a) Termination. Pursuant to 17 U.S.C. § 512 as amended by Title II of the Digital Millennium Copyright Act (the “DMCA”),Groove Technicians Records will terminate the account of any End User or other customer or vendor who uses his or her privileges to unlawfully transmit copyrighted material without a license, valid defense or fair use privilege to do so. Groove Technicians Records will terminate the infringing End User's or customer’s or vendor's account once any copyright infringement or any other violation of the intellectual property rights of any third party has been established by a court of competent jurisdiction. 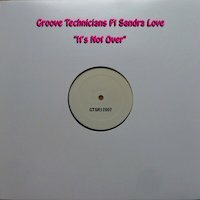 Groove Technicians Records may also in its sole discretion decide to terminate any End User's or customer’s or vendor's account privileges prior to that time if it has a good faith belief that infringement has in fact occurred or that it is more likely than not that such an infringement will be confirmed. Groove Technicians Records shall not be liable to any End User for the termination of an account hereunder and End-User hereby expressly agrees that Groove Technicians Records shall at all times reserve the right to terminate any account based on Groove Technicians Records policy against copyright infringements as set forth herein. (b) Notification of Infringement. If you believe your content has been made available for sale as a Download on the Website without your authorization, you may file a notice of copyright infringement. (ii) Identification of the copyrighted work claimed to have been infringed, or, if multiple copyrighted works on the Website are covered by a single notification, a representative list of such works. (iii) Identification of the material that is claimed to be infringing or to be the subject of infringing activity and that is to be removed or access to which is to be disabled, and information reasonably sufficient to permit Groove Technicians Records to locate the material. (iv) Information reasonably sufficient to permit Groove Technicians Records to contact the complaining party, such as an address, telephone number, and, if available, an electronic mail address at which the complaining party may be contacted. 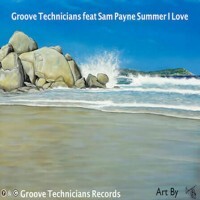 When Groove Technicians Records receives a notice of alleged copyright infringement, Groove Technicians Records removes the material that is the subject of the notification. Please note that the information provided in a notice of alleged copyright infringement may be forwarded to the person who provided the allegedly infringing content. Please also note that under Section 512(f)(2) of the DMCA any person who knowingly misrepresents that material or activity is infringing may be subject to liability for damages. (c) Counter-Notification. If you believe your content was removed or disabled as a result of mistake or misidentification, you may file a counter-notification. (iv) Your name, address, and telephone number, and a statement that you consent to the jurisdiction of the Court for the judicial district in which your address is located, or if your address is outside of the United kingdom, for any judicial district in which Groove Technicians Records may be found, and that you will accept service of process from the complaining party or an agent of such person. Upon receipt of a counter-notification, we will provide the complaining party with a copy of the counter notification, and inform that person that we will replace the removed material or cease disabling access to such material in 10 business days. If, within 10 business days after receipt of the counter-notification, Groove Technicians Records has not received notice from the complaining party that it has filed an action seeking a court order to restrain the alleged infringer from engaging in infringing activity relating to the removed or disabled material, Groove Technicians Records will replace the removed material or cease disabling access to such material. Please note that under Section 512(f)(2) of the DMCA any person who knowingly misrepresents that material or activity was removed or disabled by mistake or misidentification may be subject to liability for damages. 14. Governing Law. End-User agrees that all matters relating to End-User's access to and use of the Website and any Downloads, Materials and other Site Content purchased or otherwise obtained from the Website, including all disputes arising out of these Terms of Service, shall at all times be governed by the laws of the United Kingdom and specifically by the laws of the Leeds Uk without regard to its conflicts of laws provisions. End-User agrees to the personal jurisdiction of and venue in Leeds UK courts. Any claim under these Terms of Service must be brought within one (1) year after the cause of action arises.